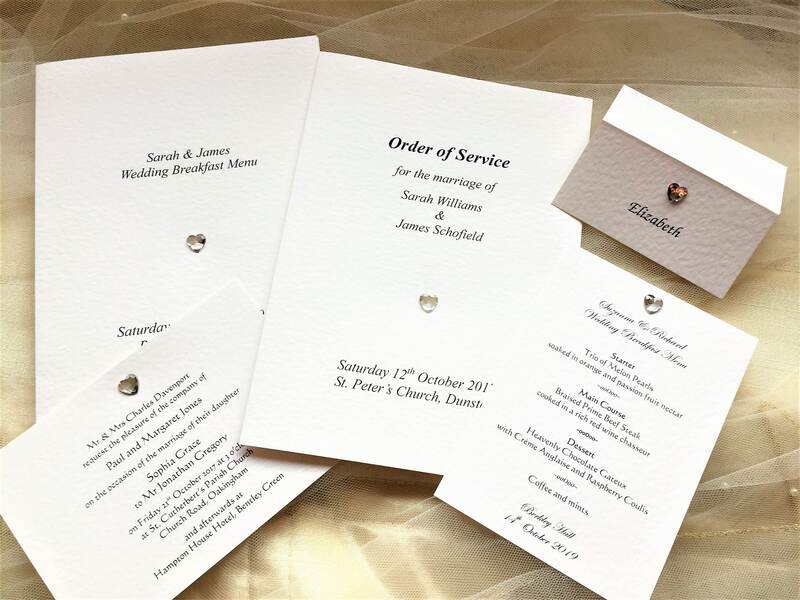 Personalised Diamante Heart Square Flat Wedding Invitations supplied on a thick heavy weight (270 gsm) hammered card and available in either white or ivory. 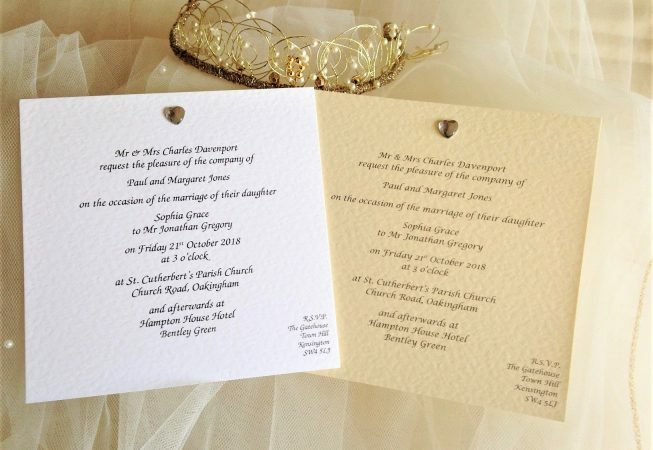 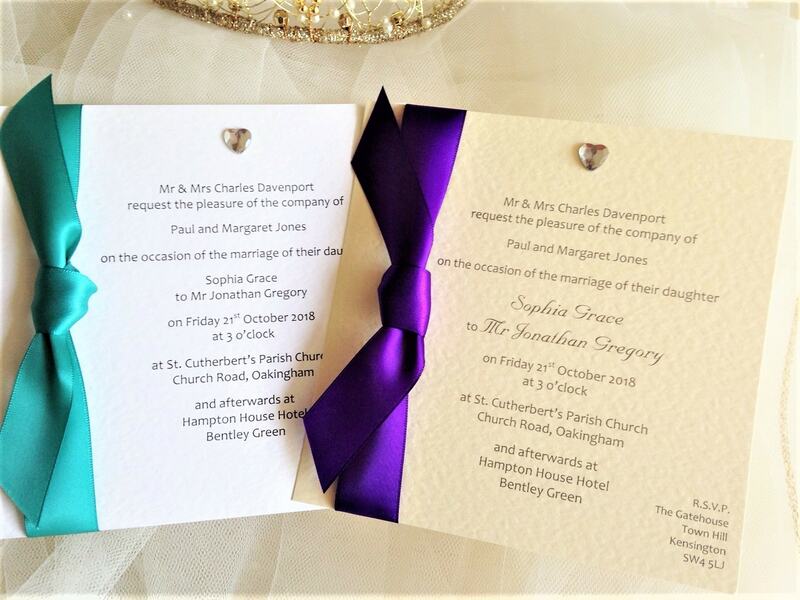 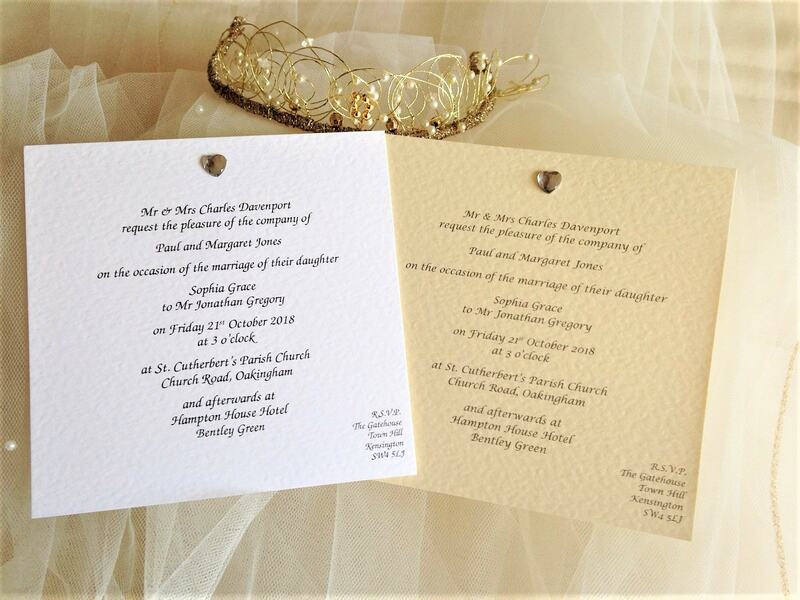 This wedding invitation style is part of our Diamante Heart Wedding Stationery Range. 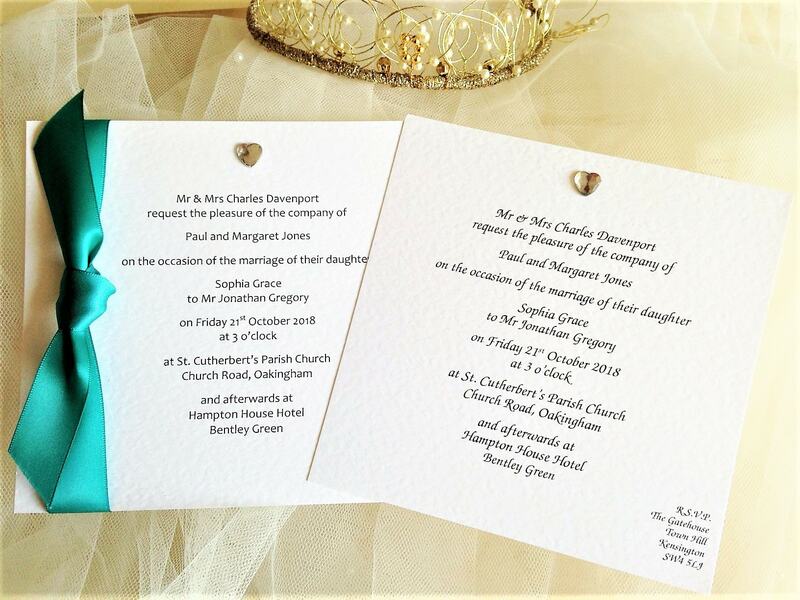 Please note: Diamante heart only available in clear.